For those of us who dont consider history to be their strong forte, Simon Bolivar or the Liberator led the 19th century revolutionary war against Spain which ultimately led ti the independence of Venezuela as well as other South American nations. As with any great personality, there have always been rumours surrounding the death of Bolivar. Some would suggest that Bolicar was murdered rather than dying from tuberculosis. The current Venezuelan President, Hugo Chavez, ordered the remains of Bolivar to be exhumed and examined for any signs of foul play. As to what he expected to do after all these decades (Bolivar died in 1830) is something that is best known to himself. In any case, scientists were unable to find any signs of foul play in the death. The independence hero is now to be re-buried with state honors in a new coffin. 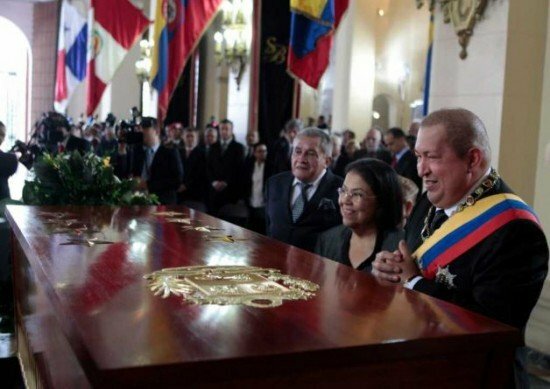 President Hugo Chavez ordered the mahogany coffin that is encrusted with diamonds, pearls and golden stars to commemorate the hero of Venezuela. The coffin shall be buried in a new mausoleum that is being constructed at a cost of $27.7 million. 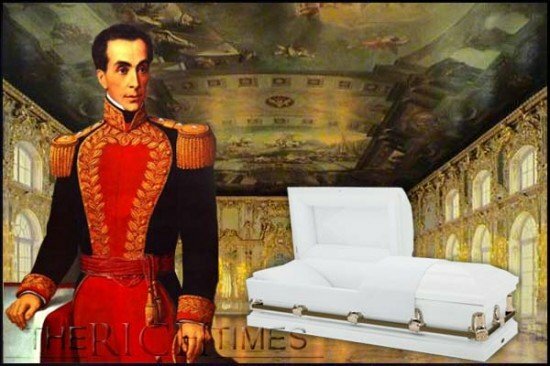 The coffin is to have the national seal on it as well as Bolivar’s initials and golden laurels. The diamonds and pearls that shall go on the coffin will be sourced from Venezuela itself. A feast is made for laughter, and wine maketh merry; but money answereth all things.